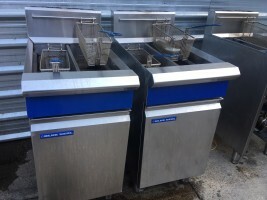 Blue Seal has long been recognised for the quality and performance of its Fryers. 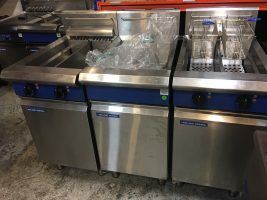 The Blue Seal Evolution Series takes this a stage further with a sleeker, more streamlined Fryer range. 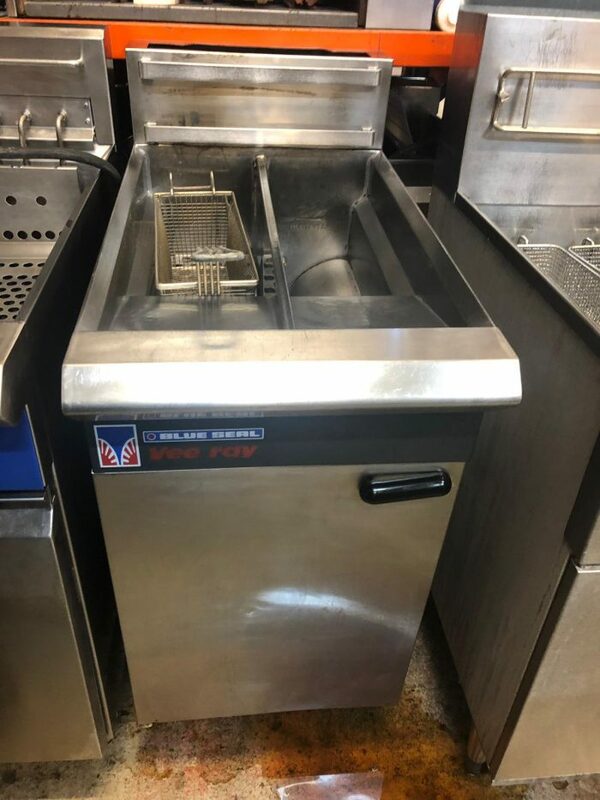 Gas units feature Blue Seal’s unique Vee Ray technology, incorporating patented infrared burners for industry leading frying output and recovery. The unique Blue Seal Vee Ray burner burns with an intense even heat with no flame impinging directly on the tank side, resulting in a more even spread of heat through the tank surface. This evenness is gentler on the frying medium and results in longer oil life when compared to fryers employing conventional gas burners. Developed over a number of years, the patented Vee Ray burner system offers optimum operating efficiency with rapid recovery. 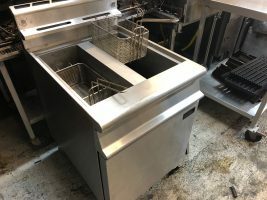 The open tank design of Vee Ray fryers makes cleaning simple and easy. There are no inaccessible corners or tubes to make cleaning difficult. 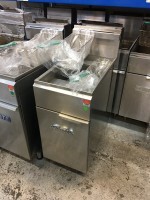 In addition all Blue Seal fryer tanks are constructed from stainless steel, giving them a longer operational life.